24 years of training and education experience. Conducted over 3000 courses, more than 100,000 attendees. Unleashing your great potential with NLP program! What students have said about their experience of training at NLP Meta? Having a lot of stress, can't relax. Can't take charge of your best state. Could not live up to your boss's expectation. Don't know how to handle your staffs and they quit. You bad physical condition lead to inefficiency at work. You have problems with your spouse or kids. Poor in learning, missed out a lot of opportunity. You don't really know your own strength. You couldn't allocate complete info to make right decision. You have stage fright, could express your points comfortably. You wish not to waste money on those so called NLP programs anymore. You want to eliminate the bad memories, get rid of bad habits. You wish to become a Certified NLP Practitioner. 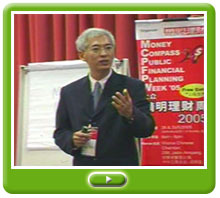 You wish to learn from the Certified NLP Trainer. You wish to master this proven NLP patterns and processes. The First and Only Malaysian ! 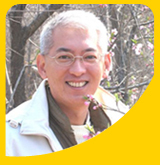 <?xml:namespace prefix = st1 ns = "urn:schemas-microsoft-com:office:smarttags" />Ian Lee, the first and only Malaysia NLP Trainer and Consultant certified by Robert Dilts and Judith DeLozier, NLP University, USA. Copyright © 2010 NLP Meta Training & Consultancy. All rights reserved.